That leave be given to bring in a Bill to require certain multinational enterprises to include, within their annual financial reporting, specified information prepared in accordance with the Organisation for Economic Cooperation and Development’s requirements for Country-by-Country reporting; and for connected purposes. 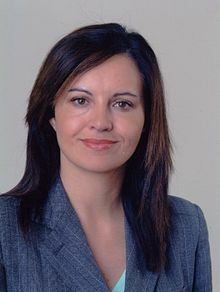 A letter from Caroline Flint to the UK Chancellor (Finance Minister) is available here. Her press release is below. A senior MP and Public Accounts Committee member, Caroline Flint, has written to the Chancellor ahead of the Budget to seek his support to tackle corporate financial transparency in the wake of the Google fiasco. The Government is legislating to require multinationals to report their tax, revenues, profits and assets to HMRC, as part of an international effort by the G20 and OECD countries to stop profit shifting. The MP is seeking to go a step further to ensure this information is published. The MP welcomed measures for disclosure of financial data to HMRC, which were included in the 2015 Financial Act which the Government has been consulting on. Ms Flint describes the tax avoidance problem as “unfinished business” and urges the Chancellor to back this extra step, which will be presented in a Bill to the Commons the day before his Budget. The MP has received cross party support for her Ten Minute Rule Bill, the Multinational Enterprises (Financial Transparency) Bill which is tabled the day before the Budget. The MP is hoping the Government will incorporate the measures in their plans but will move amendments to the Finance Bill if they don’t. The Bill has gathered support from MPs including Public Accounts Committee Chair, Meg Hillier, and PAC members including Conservatives Nigel Mills and Anne-Marie Trevelyan. The twelve principal sponsors of the Bill are: Caroline Flint, Meg Hillier, Karin Smyth, Anne-Marie Trevelyan, John Pugh, Nigel Mills, Margaret Hodge, Stephen Kinnock, Catherine McKinnell, Jeremy LeFroy, Phillippa Whitford and Mark Durkan. To date, ten members of the powerful Commons Public Accounts Committee are supporting the Bill. The Bill also has the backing of business and tax groups Fair Tax Mark and Tax Justice Network, as well as aid organisations including Oxfam, ActionAid, CAFOD and Christian Aid.